Red Rocks Amphitheater holds the reputation of showcasing nothing but the best events. It is now the hub of excitement where people converge to enjoy entertainment at its finest. Red Rocks Amphitheater will once again set the bar high as another mega event is bound to happen on Friday 31st May 2019. Chromeo & Thievery Corporation are about bring the funk! Buy tickets online right here today!! Montreal-based electro funk band Chromeo was formed in 2002 by musicians David "Dave 1" Macklovitch and Patrick "P-Thugg" Gemayel. The duo met at Collège Stanislas in Montreal in the mid-1990s. They started their musical careers as hip-hop producers, but their big break came in 2004 with the release of their '80s influenced debut album, She's in Control. After a three-year break, they released a second album, Fancy Footwork, which also received positive reviews. 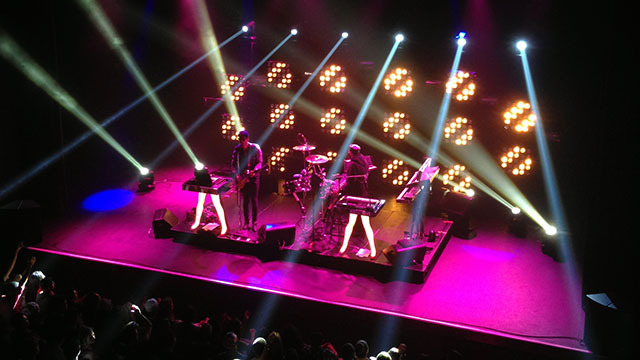 Their third album, Business Casual, was released to critical acclaim in 2010, and the video for one of the album's singles “Night By Night” has since received over 4 million views on YouTube. In early September 2013, the group announced their fourth album White Women with a trailer video featuring the track "Over Your Shoulder". It was released in May 2014. Known for their unique mix of dub, acid jazz, reggae, Indian classical, Middle Eastern, hip hop, electronica and Brazilian. Which took the festivals by storm – Thievery Corporation are also on the bill for this incredible Red Rocks event – get ready for this magical night of true 90's nostalgia from the talented group!